Indeed the spacing in-between the letters is nice in the second image, I don't like how the 'A's look. Since you can still read the name 'RADAXIAN' in the first image, I prefer that one. But ultimately, it depends on how you feel about it. Any C&C on Janken would be good too! Is the cow purposefully too long? If yes, I would make it slightly longer to underline that it is not your lack of drawing skill. If no, I would do the same. ..perhaps have the leg pair one pixel closer to each other? Not bad. The cow is the defining character in the title. It also has a pig face. That gives it sympathy points, more than a cow-cow would get. The pig is very flat. Baby pigs would be cute, but no more room. 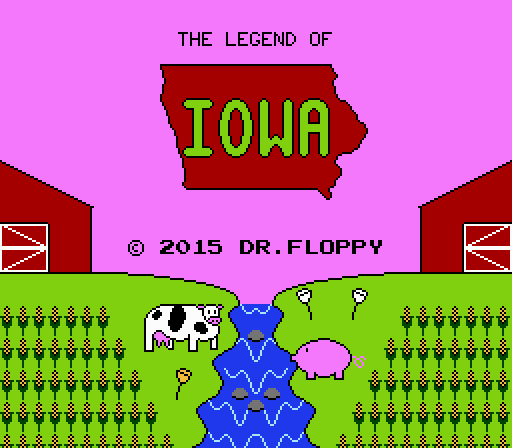 In-game (and despite only occurring on screens involving the Missouri / Mississippi Rivers), Aquacow serves as nothing short of a perpetual nuisance! Yep, that is the game's title. It's like that, yes. 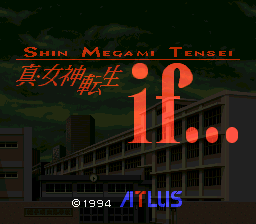 None of the original graphics have been changed; the "Shin Megami Tensei" text in the official US logo font has been added and the rest has been moved a bit, but the rest of the title screen is identical to the unchanged version. Here's the original for comparison. FEif is something different. 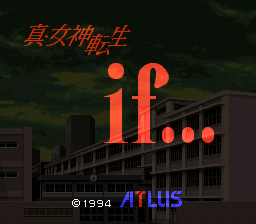 The "crossover" (which isn't really a crossover, it's just a Fire Emblem game with some light SMT mechanics and style) has been rebranded as Genei Ibunroku #FE. Sure does make it confusing though! 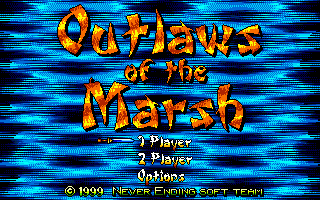 This is a pretty cool unlicensed game for the Genesis, that I would hope to see released in English someday. Here is my take on the title screen. 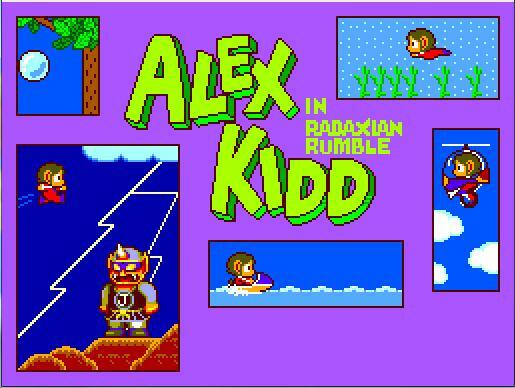 Quite frankly I prefer your title screen (and title)! Thanks! I did not know about that release. The font used for the story looks out of place for the setting (Font looks robotic and makes me think SciFi) and the flow of the narrative seems slightly stilted. I would have used Liangshan Marsh in my translation instead of Mount Liang, as it tied things together better. 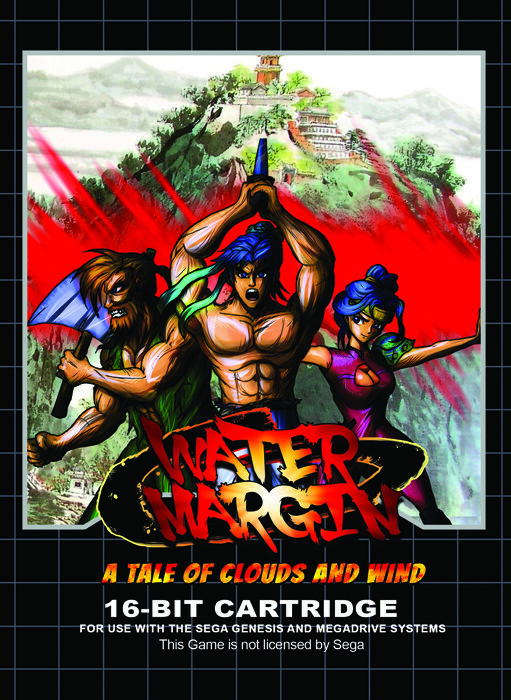 The original novel had many translated titles (Outlaws of the Marsh, Tale of the Marshes, Men of the Marshes, The Marshes of Mount Liang, All Men Are Brothers, and Water Margin), but unfortunately they picked the ugliest/worst sounding title for their translation . I personally liked it better when it was just known as Suikoden, but I digress. 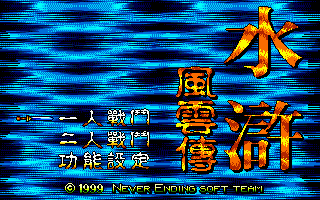 But on topic, I also thing your title screen looks a lot better than the new official one--I think the font design you use stays a lot truer to the original, and just plain looks better as a total product. Thanks, that is exactly what I was trying to achieve . 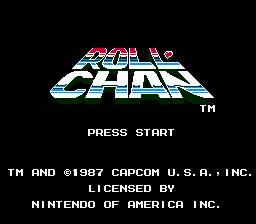 I just made a mockup on the US title logo version of Roll-chan. I'm not sure if I'm gonna use it, its frustrating that Mega Man 1 (and 6) has their title logos uneditable on hex editors. Is that Nio's work? He's posted Contra images in Trax's Contra thread that were in a similar style.